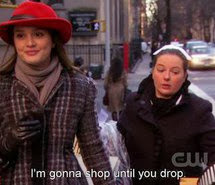 As per Gossip Girl Thanksgiving tradition, I’m trading my laptop for stove-top. And for the next sixteen hours, the only thing I’m dishing is seconds. When the cat’s away, the mice will play. Have fun, little rodents. 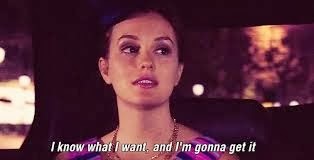 I'll take any excuse to feature Gossip Girl's Blair Waldorf on my blog. (You could say I'm a tad obsessed.) Today, is no different. Thanksgiving is her favorite holiday, after all! In all seriousness, today I'm sharing with you 5 things I'm most thankful for. 2. Graduating college and having a job straight out of college. 3. My support circle of friends and family. 5. Having a warm place to call home. This Thanksgiving, Tyler and I have 3 meals to go to. (cue food baby....now) Thursday lunch will be spent with his family and dinner will be spent with my family. (I'm making pumpkin muffins found here... cross your fingers they taste as good as they look!) On Saturday we are having Friendsgiving with his friends from high school! It is amazing how well they have all kept in touch over the years, and I am so thankful to be included with this group of people! How are you spending your Thanksgiving? I have worn this skirt many times before, but something about this outfit just made me feel dressed up. It's great how accessories can take an otherwise casual outfit to something a little more fancy. The necklace, tights, and ballet flats all help to transition this skirt. Speaking of the tights... you all know by now that I love colored tights. I've gotten some comments and emails about how to start wearing colored tights. Gray tights are a perfect way to start trying out tights other than black. They are more unexpected than black but still a neutral. This color is the perfect way to try out color without buying something crazy like red or blue! Last week, Angi of Can't Buy Me Lovvve nominated me for the Sunshine Award! Thanks Angi :)! I don't know about you, but this weekend just flew by. Every second of it had something to do! I had a work happy hour to go to on Friday to "celebrate" one of the managers last day. Saturday, Tyler and I dedicated the day to decorating our town home for Christmas and running a lot of errands. We finally purchased a couch for our living room! For the past month, we've had one recliner in the living room. It is so nice that we finally have real furniture -- and now we can start decorating around our furniture! Sunday we spent the day at the Chiefs game. It was freezing but worth it anyways! Needlesstosay, I was exhausted this morning. If I could have gone to work in a sweatshirt and yoga pants, I would have. This big, comfy sweater will have to suffice until 5 PM :). You may have noticed a new shiny accessory on my left hand recently. Well, Tyler and I are engaged!! Today marks 3 weeks of being engaged. I am going to share all the wedding planning details on my blog, starting first with the proposal. Tyler and I had been talking about getting engaged for quite some time before he popped the question. I had a feeling it was going to happen before the end of the year, I just didn't know when. The morning of Halloween, Tyler said "We probably won't have many trick or treaters at the town home tonight, so do you want to go out to dinner and then make caramel apples and watch a Halloween movie?" I figured those were our plans and was completely shocked when I got to the town home after work to see the inside of the house all decorated and Tyler down on one knee. Tyler, with music playing and candles lit, asked me to marry him on Halloween. He said he wanted to catch me completely off guard since I knew it was coming soon. (He was very successful!) He said he didn't want to propose on a weekend because then I would be expecting it, but I would never expect it on Halloween. He was right, too! During the month of October I started to get suspicious about when it would happen. As each weekend approached I wondered if this would be the weekend that we were going to become engaged. Not once did it cross my mind that it could happen during the middle of the week! After he proposed and we got those diamonds on my hand, Tyler presented to me a Halloween card. The card normally said something like "It would be quite a treat to get scared this Halloween." He crossed it out so it said, "It would be quite a treat to get engaged this Halloween." On the inside of the card was one of the most beautiful letters Tyler has ever given to me. After we had a glass of wine at home, we went to dinner to celebrate being engaged. The proposal was perfect for us. I had told Tyler awhile back that I wanted our proposal to be something intimate; something over the top with a flash mob was just not my scene. He did an amazing job making it special and just for us two. What makes it even better is that he secretly filmed the whole thing. I'm so excited about this new stage of our life and I cannot wait to document wedding planning and wedding festivities on the blog. Follow along here or on Instagram (@ _darcyylynn_) to see us become Mr. & Mrs! Last week, I was approached by Destiny USA to share my Black Friday tips. Throughout college I worked at Express and after working a few Black Fridays, I feel like I have some knowledge to share with anyone venturing out into the craziness next week! If you are shopping on Black Friday just to shop, with no real list of what you want, go check out the store either the weekend before or the Monday before. This way, you can figure out where the items you want are as well as figure out what size you need. It always amazed me how long the fitting room line was on Black Friday. I would NEVER wait in that line just to try on clothes. Go to the mall earlier to figure out exactly what you want to buy and save yourself from waiting in two different lines at each store. Rarely will stores rearrange prior to Black Friday, so if you locate all the main things you want prior to Black Friday they should still be in the same spot. 2. If you must try clothes on, go in layers. If you cannot get to the mall before Black Friday, go in layers. This way, you can try on clothes without needing an actual fitting room. While this won't work if you're buying bottoms, it will work for tops. Wear a simple cami or a v-neck and try of all your sweaters and shirts over it. Black Friday will be insanely more fun for you if you go shopping with a family member or friend. Not only will you have more fun, but you will be more productive. One person can go straight to waiting in line, while the other person grabs all their items. You can switch out so that there is one person always in line while the other person shops. Also, if you are in a crazy store, split up. Go with a friend who knows your size and what you like to wear. This way, if they find something they think you will like they can grab it for you. The busiest times at the mall is right when the mall opens. If you are just going to shop, and aren't out there fighting for one item, you can really have a great time if you hold off on going shopping for a little while. Most people either go right when the stores open, or first thing in the morning. When I worked at Express, we opened at midnight. We were crazy busy from 12-4 AM and then it picked up again around 7:30 AM. Anybody who came in from 4-7:30 had less people to "fight" with and hardly any lines to wait in. Not only that, but once the craziness settles down, stores can restock items and put unwanted items from the fitting rooms back on the shelves. When I worked at Express, the Black Friday promotion kept reappearing up until the Holidays. We had 50% off on Black Friday, and then again on another random weekend two weeks later. Sometimes all the sweaters would be marked to 40% off but then customers could use a coupon with it. You cannot use any coupons on Black Friday so sometimes you will get a better price if you wait to shop! I hope some of these tips will help some of you going out to shop this year! 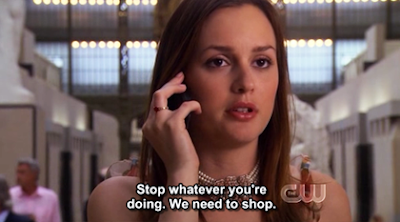 I personally have not decided if I am going shopping yet. I know that some stores are starting their sales the Wednesday before Thanksgiving, so I may just go to the mall then and call it good! If you want to do your own post on how to survive Black Friday, please do! Make sure to link up to my post and Destiny USA's post on surviving Black Friday! What other tips do you have? Share them in the comments below! Last Friday, I shared with you my Gift Guide: For Him. This week is for the ladies in your life! Your mom, sister, best friend, cousin, or ideas for even yourself! I tried very hard to include things that were not obvious gift ideas (like clothes). I either have these items already or they are on my personal wish list! 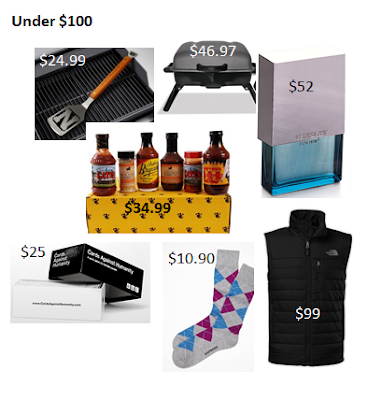 The best part about this is that most of these gift ideas are under $100! I actually had a very hard time thinking of what to include that cost over $100. I hope these ideas help you with your shopping or your own guest list. If you have any questions about the items, please let me know! Have a great weekend <3. As the title of this post suggests, today is the first #OOTD I have ever posted on Instagram. While this is a daily occurrence for most people, it was actually really nerve wracking to post it! I don't have any issues posting my outfits on this blog, but something about sharing it on Instagram was very scary! I have 2 friends who read blogs (Hi MK and Kelsey!) and the rest just do not understand my obsession. Needlesstosay if you popped over to my Instagram (@ _darcyylynn_) to share some love I would more than appreciate it :). These pictures were taken Sunday, because the weather was just way too nice to pass up. Thank goodness we took them when we did because it is FREEZING here now. How does it go from mid 60s to low 30s in 18 hours? Not kidding, the forecast called for snow last night! I am all for snow, but I think it should specifically be reserved for December - February. No earlier, no later. THIS is how I feel pretty much every day during the winter...I'm not ready for that already! Whenever I don't know what to wear, I gravitate towards my chambray shirt. This chambray shirt is one of the most worn pieces in my closet. This makes it no surprise this the back of it is starting to rip along the seem! Luckily I have enough sewing capabilities that I can patch it up, but I think it may be time to purchase a new one. I hope you all had a great weekend! If you follow me on Instagram ( @ _darcyylynn_ ) you saw that Tyler and I went to the Keith Urban concert! Keith Urban is one of my all time favorite singers and an amazing performer. (Seriously, have you seen the guy play the guitar or the piano? Such talent.) It was my fifth time seeing him and Tyler's first! Luckily, Tyler loved the concert as much as I did so I think I will have someone to go with me when he comes around again :). If you read my About Me section then you know that I named my blog after a Keith Urban song. Can you believe that "Making Memories of Us" was one the songs he didn't play in concert?! In the words of Stephanie Tanner, "How rude!" 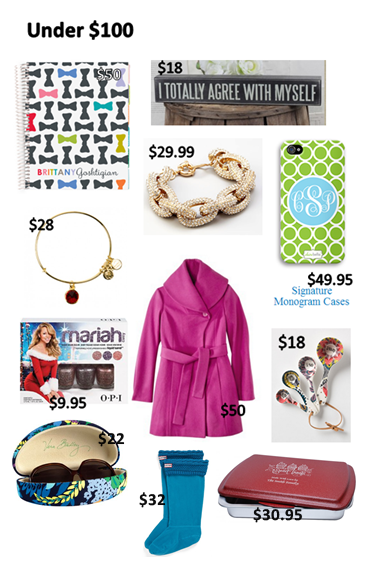 It may seem early for a gift guide... but Christmas is less than $50 days away! 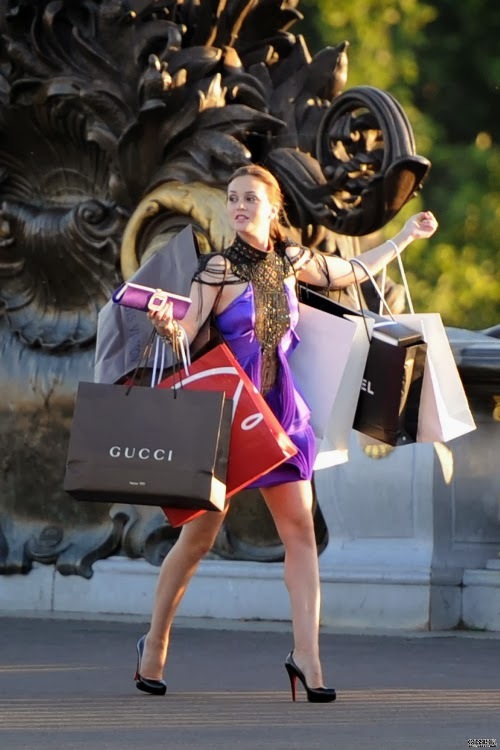 I like to have most of my shopping done (or at least know what I plan on buying) by the first week of December. 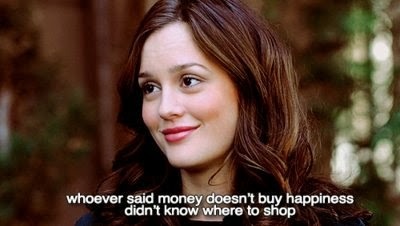 I worked retail long enough to know how crazy and picked over stores are if you wait too long to go shopping! 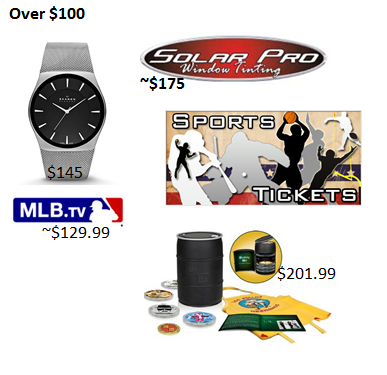 Below are my gift ideas for the men in your life: friend, brother, dad, significant other, you name it. I honestly think that any guy in your life would love at least one thing on this list! 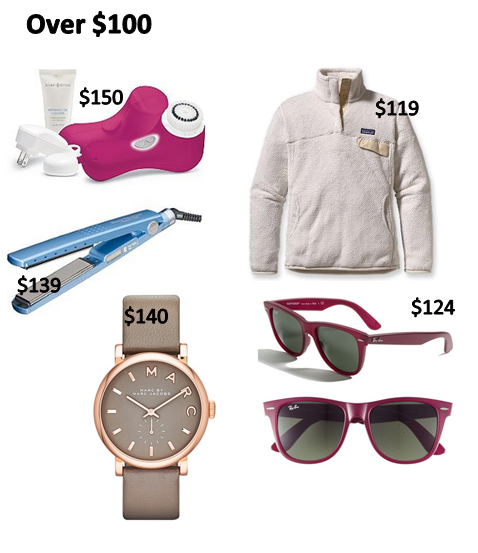 Come back next Friday to see my gift guide: for her!